Packed with hard-working, colour-friendly ingredients, each product takes an active approach to shade preservation. A liquid jewel extract injects new life and diamond shine into each strand, keeping it colour fabulous for up to 30 washes. Amazing liquid keratin works in an innovative 3-dimension complex to rehabilitate the hair. From everyday wear and tear to targeted treatments for specific conditions – all can be forgiven to restore, repair, revive and renew. 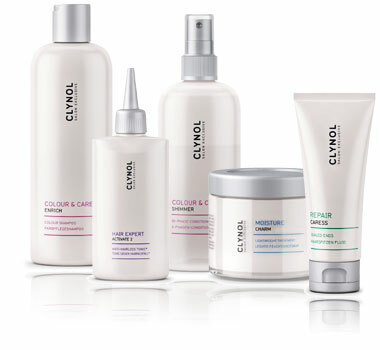 The definitive Moisture collection breathes life-giving moisture into dry, parched hair. With rich bamboo milk in every luxurious formulation, the sensual transformation is instant, the results a modern miracle. Whether it’s hair loss, dandruff or sensitive skin, there are times in all our lives when we need some specialist attention. You’re in safe hands with Expert hair care for whatever ails your delicate or thinning hair or sensitive scalp. This product will help nourish dry, damaged hair to create glistening and smooth results, the lightweight formula makes it suitable for use on all hair types allowing you to help reduce your hair drying time whilst still giving you control. With UV filters, this treatment will result in silky smooth, manageable hair every day. the Unique blend of Argan Oil, rich in Vitamin E a powerfull Anti-Oxident for your hair. Easy to apply, simply smooth Osmo Berber Oil onto dry hair for a sleek, shiny finish or distribute evenly through damp hair and dry as normal for enhanced body and movement.Also Avalible in this range is the Light Oil Mist, Shampoo and Conditioners! Also in small travel or gift packs!! Kerasilk ios the Special intensive Goldwell Range we offer. the intense range is for individuals who need Extra Conditioning for dry damages and unmanagable hair. After use the hair is left smmoth, shiny soft, product and tangle free! Avalible in this Range is Shampoo, Conditioner and Instant silk fluid.